How do I transfer or rebalance the investments in my Retirement Plan Account? Follow these instructions to transfer or rebalance the investments in your Retirement Plan account. 5. If you would like to add another fund on the investment menu that you are not already in, select Add other available funds. 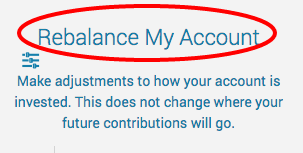 Choose the funds you would like to add by checking the box and clicking Add at the bottom of the pop-up screen. ​5. If you would like to add another fund on the investment menu that you are not already in, select Add other available funds. 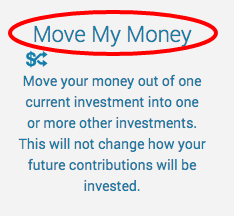 Choose the funds you would like to add by checking the box and clicking Add at the bottom of the pop-up screen. To learn more about these options, review your plan's Summary Plan Description (click Statements > Document Center) or ask your employer's Plan Representative.